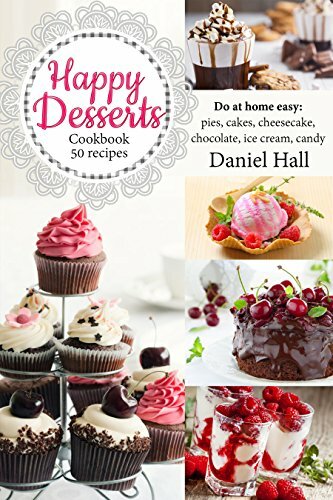 This book will help you to learn how to cook mouth-watering chocolate recipes with the accordance of any party. It contains an extensive collection of delectable and seduction chocolate dishes that will make your life sweetened. The cooking methods are made very simpler so your will never face any problem of confusion making desserts. Each recipe is having a photograph so you will get to know how each dessert looks like after done completely. I am sure you will enjoy trying all the recipes in this book. Tacky Chocolate Cake, Vanilla Cheesecake, Mango and Carrot Cake, Traditional Pineapple Pie, Shaking Mango Pie, Chocolate Velvet Bowl, Coconut Ball Candies, Blueberry Hot Muffins, Chocolate Lava Cake, Fruity Cupcakes, Tropic Cumin Zest Biscuits and much more.